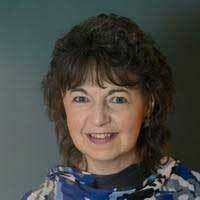 Helen Leighton is an Executive Coach and Leadership and Organization Development Consultant based in Ontario, Canada. Helen received her BA in Organizational Psychology from McGill University and her MBA from McGill University and the London Business School, and is an Adler Trained Coach, having completed the Adler Coaching Certificate Program. Helen has over 20 years of experience working in and with large organizations, both as a senior member of their Human Resources teams and as a Consultant and Coach. Helen began her career as a Consultant working in Europe and Scandinavia on Human Resource projects with clients such as Dupont, Norsk Hydro, and Lloyds Bank. On her return to Canada, Helen joined Northern Telecom in their Human Resource department and also worked with the Canadian Imperial Bank of Commerce at their Leadership Centre, where she was Director of Leadership Development. As Associate Vice President for Leadership and Organizational Development with Canadian Tire, Helen led the development of the organization’s leadership competency model and its application in the recruitment, selection, assessment and development of leaders. Helen then joined Maple Leaf Foods as Sr. Director of the company’s leadership development function, where she developed their ‘Managership’ program, aimed to support new leaders and managers in their roles, a program which is still delivered today. Since 2011, Helen has been consulting with organizations on leadership development, organizational development, organization design and structure, and building high performance teams. In her capacity as Executive Coach, Helen works with senior leaders to increase their self-awareness and self-management, and to implement changes leading to greater effectiveness and satisfaction in both their professional and personal lives. She is currently consulting with Tim Hortons in Canada, providing coaching to leaders and their teams and supporting the company’s leadership and organization development function. Her current area of research is on the role Trust plays in supporting collaboration, teamwork, innovation, and results. She recently co-designed and co-delivered a workshop on Trust and Innovation at the Industrial Research Institute’s Winter Meeting, at which she tested a Behavioural Trust Framework and Survey Tool she is currently developing. The objective of this work is to support individuals, teams and organizations to identify trust issues and to leverage trust practices in order to increase collaboration and enable successful innovation. Helen resides in Mississauga with her husband Andrew and their 3 children.